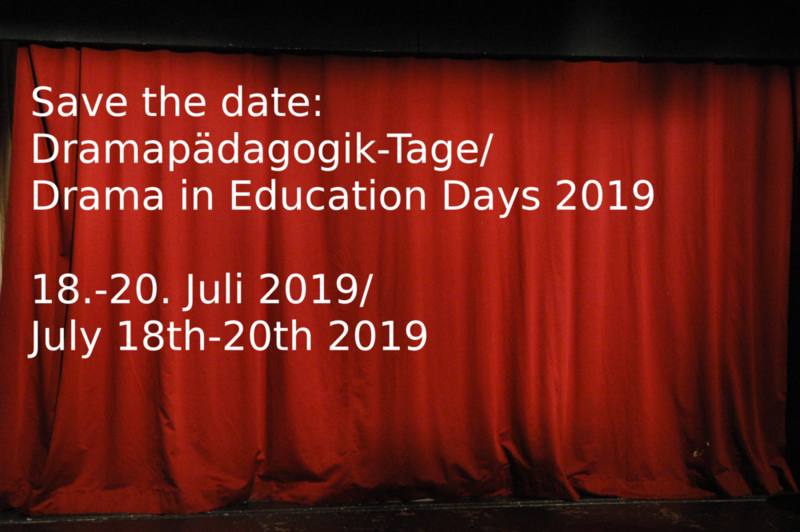 And the 4th Drama in Education Days in Konstanz are history already! For “appetizers” we had asked our speakers and workshop leaders if they have any drama in education articles, books or videos in English or German that they would like to let us know about and featured them in our Facebook group. Here’s a summary (we actually had more speakers but not everyone had articles in English or German). DOČKALOVÁ, B. (2012) More Drama! The Importance of Dramatic Tension in Scripted Dialogues for Language Learners. Ars Aeterna, Vol. 4, No. 1, s. 46–61. ISSN 1337-9291. Introducing DiE-Days speakers #2: Brigitte Hahn-Michaeli teaches at Technion-Israel Institute of Technology in Haifa, Israel and in this article describes how a multinational group of university students learning German explored Lessing’s drama “Nathan der Weise” (article in German):Wie Nathan der Weise nach Israel kam: Szenische Interpretation eines klassischen deutschen Dramas in einer multikulturellen und multilingualen Lerngruppe. Ein Bericht über die Projektarbeit. Dragović, G. (2017): Dramapädagogische Grammatikvermittlung im schulischen DaF/DaZ-Unterricht. In: Clalüna, M. / Tscharner, B. (Hg. ): Bausteine des Spracherwerbs DaF/DaZ: Wortschatz – Chunks – Grammatik. Akten der 6. Gesamtschweizerischen Tagung für Deutschlehrerinnen und Deutschlehrer – Universität Bern, 117-123. Introducing DiE Days speakers #9: Anke Stoever-Blahak (University of Hanover, Germany) has created several course formats that integrate drama/theatre and performance into German as a foreign language classes at university level. She wrote her PhD thesis on fostering performance and elocution skills through poetry and at the conference will offer a workshop showing her approach. Introducing DiE Days speakers #10: Alison Larkin Koushki teaches in the American University of Kuwait’s Intensive English Program. You can also see some of her work in the posts she‘s shared in this group 😉 In this article she writes about her project of Bringing Reading to Life. For more information on our plenary speakers Dagmar Abendroth-Timmer and Lynn Williams, go to the keynotes page.